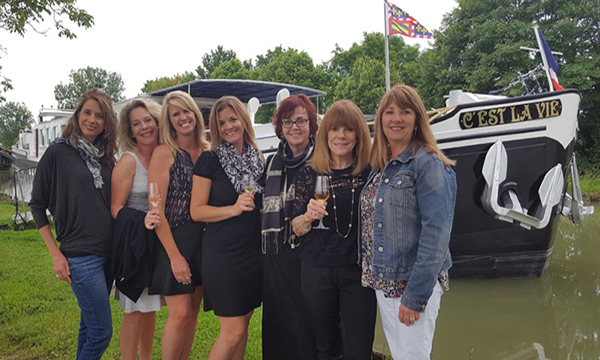 Between them, they boast decades of experience working aboard luxury barges in all positions: Chef, Captain, Tour Guide, and Hostess. This handsome barge welcomes guests to four of the most spacious and luxuriously-appointed cabins on the canals, a wonderful amenity for those to whom personal space is paramount. Culinary delights reveal the region’s abundance of food and wine; locally-produced vintages, many from the region’s celebrated vineyard of Chablis, are perfectly paired with seasonally inspired gourmet cuisine. 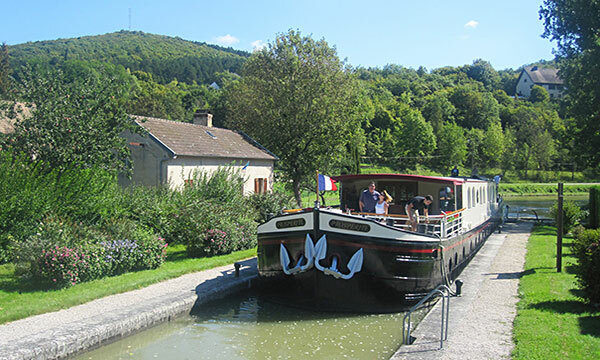 Guided excursions to the area’s attractions and antiquities encourage guests to explore Northern Burgundy’s best sights and scenes. In the afternoon, you will be met by a C’est la Vie crew member at the designated meeting point. 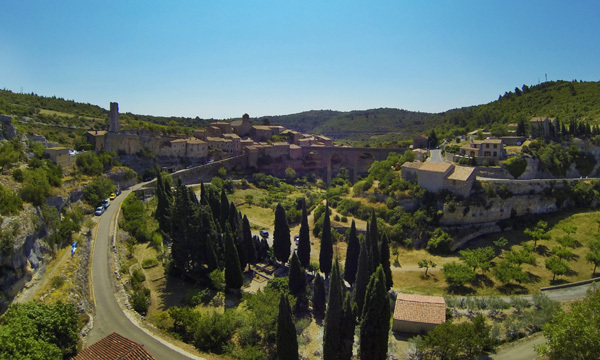 From here, relax as you are chauffeured to C’est la Vie, moored in the town of Ravieres. A traditional champagne welcome and introduction to the crew awaits you, before your first gourmet dinner onboard. In the morning, a relaxing stroll or gentle pedal along the towpath is the perfect way to enjoy your first cruise. This afternoon, your Tour Guide escorts you to the exquisite World Heritage Unesco site of Abbaye de Fontenay, founded by St. Bernard in 1118. 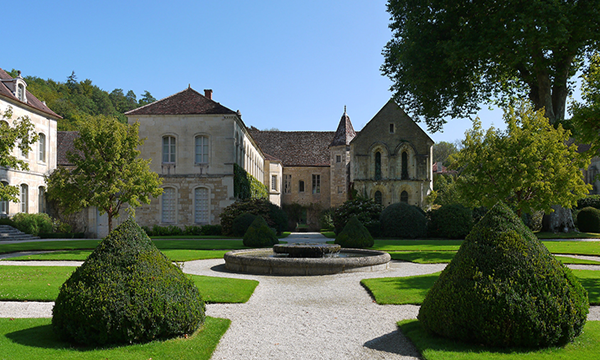 Representing a distinctive example of early Cistercian architecture, Fontenay offers an exceptional glimpse of a devoutly religious life, with its peaceful gardens, placid ponds, and stately structures. Cocktail hour and dinner await back onboard. This morning's guided excursion to the Renaissance chateau of Ancy le Franc is a highlight of the week's itinerary. 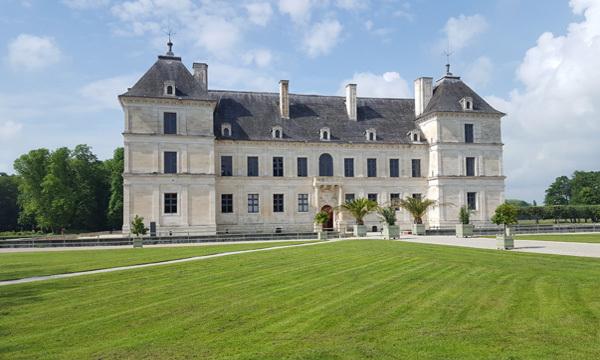 Renowned for its 16th-century frescoes, which arguably rival those of Fontainebleau, Ancy le Franc has been sensitively renovated and restored. An afternoon cruise provides the perfect time to explore the towpath with a leisurely stroll or gentle pedal. Tonight, you will be driven to the town of Chablis for your dinner ashore at the charming restaurant Hostellerie des Clos. Your Tour Guide accompanies you on a morning visit to a local market in the village of Noyers. A study of modern life thriving within 15th century medieval architecture, residents are proud that Noyers has been officially designated as one of the prettiest towns in France. Taste locally made cheese, discover the old ramparts, and admire the intact half-timbered houses. Your Tour Guide returns you to the barge for a lazy afternoon cruise. Laze on deck with a glass of wine from Captain Olivier's cellar and watch the scenery slip by. Cocktail hour precedes another gourmet dinner. The day begins with a morning cruise, offering plenty of time to relax on deck, or explore the region's abundant natural beauty with a leisurely stroll or gentle pedal along the towpath. In the afternoon, your Tour Guide chauffeurs you to the iconic vineyards of Chablis. Here, meet the viticulturists who expertly grow the pampered grapes from which this white wine is exclusively produced. Samples of the vineyard's vintages are of course offered! Return to the C’est la Vie to relax before cocktail hour. Chef presents another gourmet dinner. Start the day with a gentle morning cruise. In the afternoon, your Tour Guide escorts you to the lively town of Auxerre. Located on the banks of the River Yonne, this small city was first settled by the Romans, and boasts a Cathedral, an Abbey, and a Church; your Tour Guide introduces you to these structures of historical significance. Stroll along cobblestone streets, browse the boutiques, or enjoy a cafe in the town square. Your Tour Guide returns you to the barge to freshen up before tonight's final feast at the Captain's Dinner.